In the year when the cricketing community of Cardiff is celebrating the 200th anniversary of the first reference to the game being played in the Welsh capital, it is appropriate that the 2019 season will see Minor County and 2nd XI cricket at two of the oldest grounds in the city’s suburbs. Bishop’s Field, the sporting epicentre of Llandaff Cathedral School will stage its first-ever Glamorgan Second Eleven game as the Welsh county meet Gloucestershire in back-to-back Twenty20 fixtures on July 15th at the School’s ground adjacent to Western Avenue (M48). The first record of cricket in Llandaff dates from 1874, but there is evidence of much earlier activity as during the mid-19th century, the Bishop himself – Alfred Ollivant - had been a decent sportsman, playing cricket for Cardiff against both the All England Eleven in 1855 and the United All England side in 1857. His son William was also a good sportsman, playing alongside his father in the Cardiff side in 1855 against the All England side. With such a sporting pedigree, it was no surprise that Bishop Ollivant encouraged his parishoners to take part in healthy recreation, especially on the Field to the south of the Cathedral. On June 2nd, Wales Minor Counties will be playing their Unicorns Knockout Trophy second round game at Llwynarthen, the current home of Lisvane CC, also adjacent to the A48 on the eastern outskirts of Cardiff. The ground was created from 1904 in the grounds of his large detached house in St. Mellons by Sir Harry Webb, a mining magnate, politician and ardent supporter of cricket. Following the example of numerous other landowners during the Edwardian, Sir Harry staged country house matches at Llwynarthen, besides selecting a team which met Glamorgan in a fund-raising two-day match at Cardiff Arms Park in August 1913 to boost their bid for first-class status. Sir Harry mixed his duties during the early 1920's as Glamorgan President with serving as MP for Cardiff East, besides helping to finance the Welsh county during their early and quite difficult years as a fully-fledged county. The llwynarthen ground was also used for many years by the Cardiff YMCA club before becoming derelict during the early 1980s. 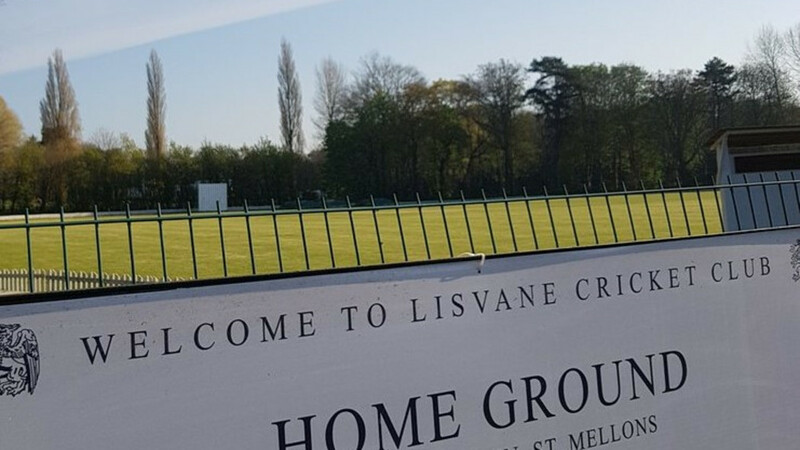 However, during the 2000s Lisvane CC secured the lease of the ground and renovated both the wicket and pavilion with the support of the ECB’s NatWest Cricket Force initiative. In recent years, it has also hosted some of Glamorgan’s Academy games as well as fixtures by Cardiff MCCU.